When the World Series of Fighting (WSOF) announced a four-way elimination tournament to crown the organization’s first light heavyweight champion, three names were initially released. 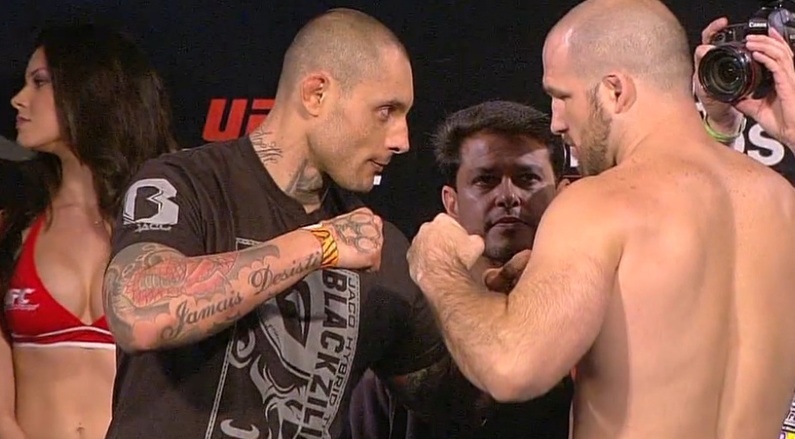 Matt Hamill, Thiago Silva and Ronny Markes. Silva (16-3, 2 NC) was going to fight Ronny Markes at WSOF 19 on March 28. That left fans wondering whom Hamill would face. The answer is yes. Magalhaes (12-7) defeated Jason Brilz in September at Titan FC 30 to claim the championship. Magalhaes and Hamilll were supposed to fight at World Series of Fighting 20 on April 10 at Foxwoods Resort Casino in Connecticut, but according to WSOF President Ray Sefo there are issues with his contract so now, Hamill and Silva will rematch in the co-headliner at WSOF 19, March 28 in Phoenix, Ariz. The main event for that card is a lightweight title fight between champion Justin Gaethje and Luis Palomino. Silva beat Hamill in his last fight by unanimous decision at UFC Fight Night: Maia vs. Shields in October 2013. Since then, the Brazilian has dealt with injuries and domestic issues with his ex-wife that eventually got him released by the UFC. Hamill (11-5) has also not fought since October 2013. He retired thereafter, but announced his comeback with WSOF last year. Markes will still be in the tournament however without an opponent named yet, he will be pushed to a later card.